“The pestilence which had first broken out in the land occupied by the Saracens became so much stronger that, sparing no dominion, it visited with the scourge of sudden death the various parts of all the kingdoms … . [I]t began in England in Dorsetshire … , and immediately advancing from place to place it attacked men without warning … . Very many of those who were attacked in the morning it carried out of human affairs before noon. And no one whom it willed to die did it permit to live longer than three or four days. … And … reaching London, it deprived many of their life daily, and increased to so great an extent that from the feast of the Purification [February 2nd, 1349] till after Easter [April 12th, 1349] there were more than two hundred bodies of those who had died buried daily in the cemetery which had been then recently made near Smithfield, besides the bodies which were in other graveyards … . The grace of the Holy Spirit finally intervening, … about the feast of Whitsunday [May 31st, 1349], it ceased at London … ”. There were emergency burial sites, or “plague pits”, at East Smithfield, in the grounds of the Cistercian Abbey of St Mary Graces, and at West Smithfield, in what were to become the grounds of the Carthusian Monastery of Charterhouse, founded in 1371. The Charterhouse site, which only came to light during work preparatory to the ongoing construction of the “Crossrail” station at Farringdon, has recently been partially archaeologically excavated. 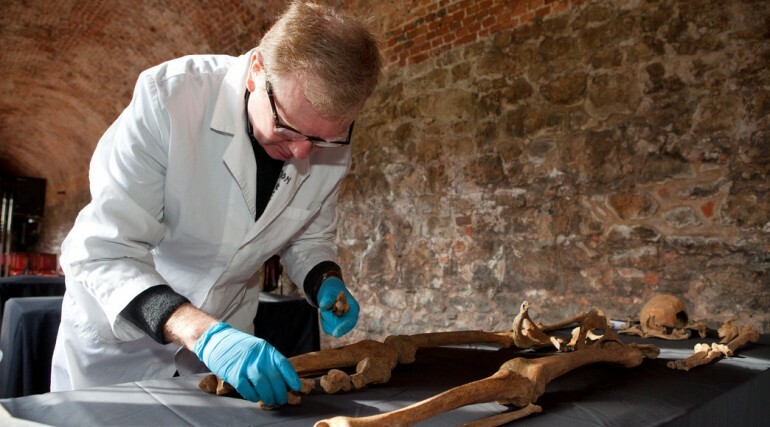 A small number of skeletons have been unearthed here that have been dated to the time of the Black Death, and indeed that still contain traces of the plague bacterium, Yersinia pestis. Many thousands more are thought to lie buried here still. 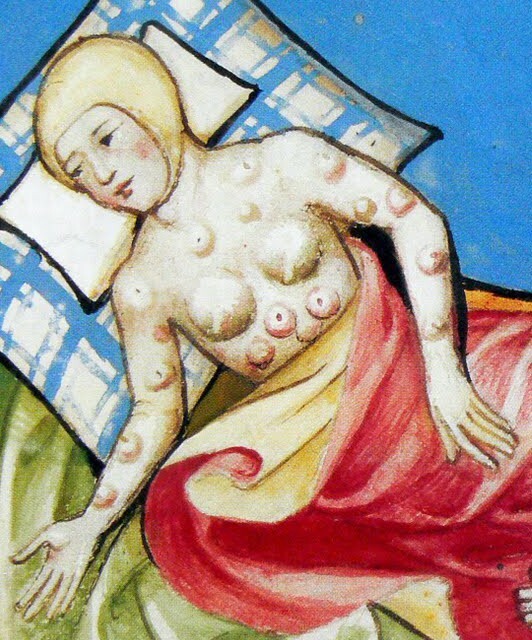 Archaeologists and epidemiologists suspect that so many deaths in evidently such a short space of time must have been caused a particularly contagious and virulent pneumonic or septicaemic strain of the plague, and not by the bubonic strain (the pneumonic and septicaemic strains are capable of being transmitted directly from infected person to person, and are characterised by mortality rates of 90-100%, whereas the vector-borne bubonic strain is transmitted by rat flea from infected black or brown rat to person, and is characterised by mortality rates of approximately 50%). 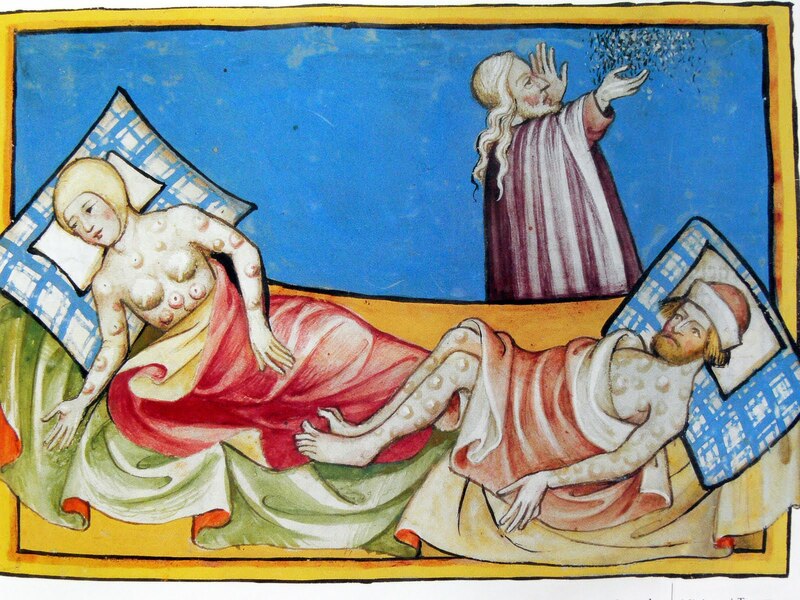 Another argument against the Black Death having been bubonic plague is that it began to spike in London in the winter of 1348-9, when the rat flea (Xenopsylla cheopis) that transmits this strain of the disease would have been inactive, as it is everywhere today at temperatures of less than 10degC. This entry was posted in 14th Century London, Contemporary accounts of events, Medical London, Medieval, Site is on a Lost City of London Tour and tagged Charterhouse, Crossrail archaeological excavation, plague pits on July 26, 2014 by Bob Jones - The Lost City of London.